number of email IDs in a single click. These activties are performed mainly for the advertisements of the products or services provided by a company. Many spammers spam to collect individual's personal information through some stupid things like 'fill these details to get your lottery amount' and that information is sold to businessmen looking for the people of different categories. There could be many more reasons of spamming. Spammers use automated tools to collect as many emails available on websites,forms,chat rooms and send spams to them. It can be done by checking headers. Email headers is simply the text which contains the information about the mail servers that the email encountered in its path from the sender to receiver. It contains a lot of other information too. We can view email headers in gmail by clicking at 'show orignal', in yahoo by clicking at 'Full headers' and such kinds of options in other email service providers. If you get an email displaying sender's email like someone@gmail.com, someone@hotmail.com, someone@yahoo.com . 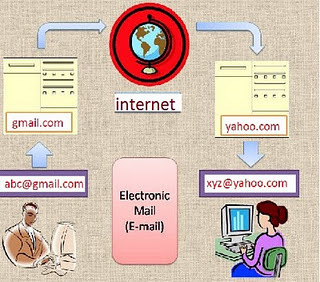 Then it should be originated from gmail, Hotmail and yahoo servers respectively. But if it doesn't, the most probably the email would be fake. I will show you by an example, I received three emails in my gmail inbox from sender's address "someone@gmail.com." Sender's address shows me that they should have been originated from gmail / google server, if they would be real. Sending Fake/spoofed Email -: Fake or spoofed email means the email from any email ID. It doesn't matter whether the sender's email really exists or not. Sender's email ID can be anything@anything.com. 1. Using Open Relay servers : An open relay server is that which allows people to send email by connecting to it. User connect to it via telnet and instructs server to send email. This method is outdated or simply I should say that, it doesn't work. I would not talk about it more. 2. Using Websites : There are numberless websites that provide free service to send fake emails. But the problem is that they attach the advertisments along with your email. But the best two, I have found that do not attach the advertisments. 3. Using mail sending scripts : The PHP contains mail sending function which allows us to send email with fake headers. Download a php script from here. Note: This script contains options of sending spoofed email, spamming and email bombing. Your hosting account might be immediately suspended on spamming/bombing. But it works perfect if you have any your own premium web hosting account. If you want to try email bomber, I could let you to use my own if sufficient people request in comments. Can we get sender's IP address from Email Headers ? We may or may not. Gmail, yahoo normally do not reveal sender's IP address. But when we send an email from a php script, the headers might reveal Sender's IP. The conclusion is that answer to this question varies from different email service providers and the way how email is sent. Can we trace sender's location, if we get his IP address ? The IP address could only tell that which Internet Service Provider (ISP) is used by sender. Further details can not be revealed without the help of that ISP. Normally the Public IP is dynamic that is it keeps changing. We need to ask ISP about the user who was assigned that IP at the time email was sent. If sender has purchased a static IP address, it doesn't matter that when exactly was email sent. He could easily be traced.